As anyone who has ridden a motorcycle further than to the end of the street will tell you, there comes a time when we all suffer from ‘numb bum’. A number of factors contribute to this condition, including riding position, time in the saddle, riders’ physique, any underlying medical conditions, type of motorcycle, poor road surfaces and vibration to name but a few. Since there are numerous contributing factors it goes without saying that there cannot be one definitive solution. However, after two years development and countless number of test miles on a variety of motorcycles, we feel that we can offer an excellent product that will help increase your riding pleasure. Modern motorcycle seats are made from polyurethane foam which when under load, i.e. 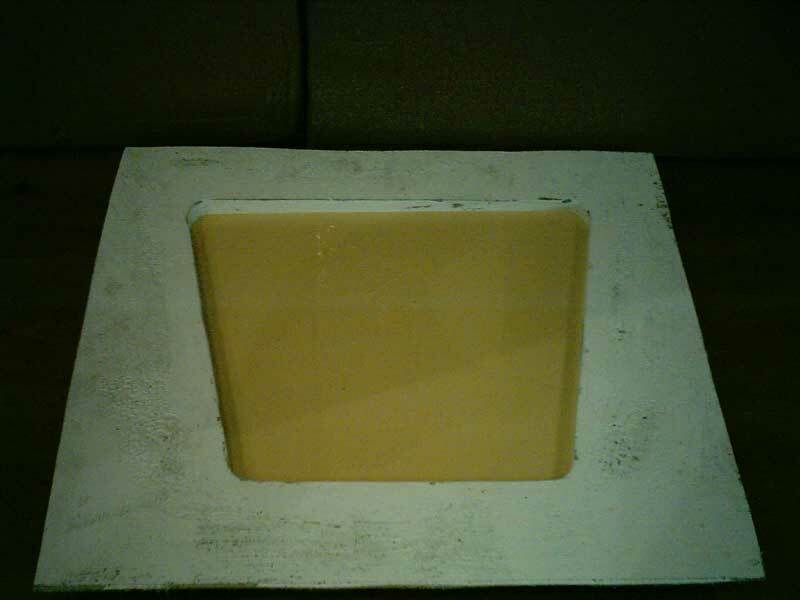 whilst being sat on, compresses to varying degrees depending on the density to which it was moulded. 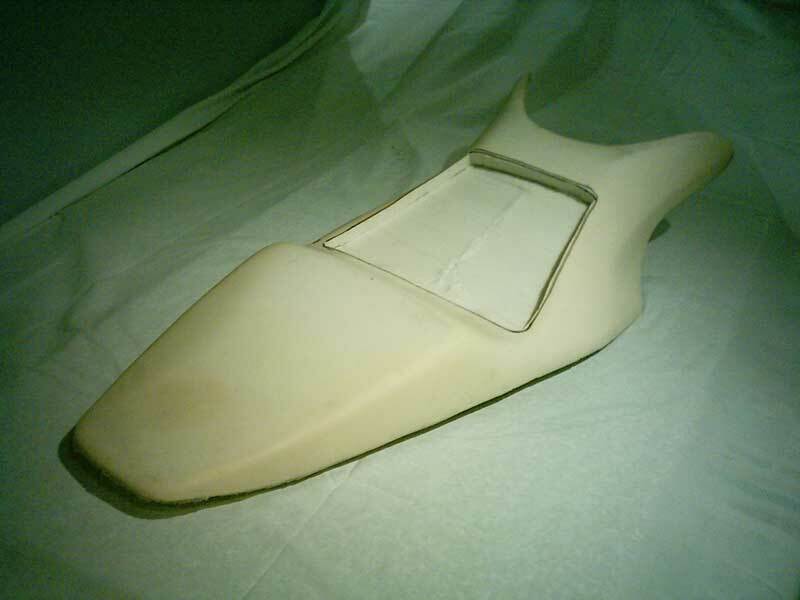 Too soft and we may as well sit on the seat base, too hard and the seat will feel like a plank. Therefore most seats end up being moulded to a happy medium. 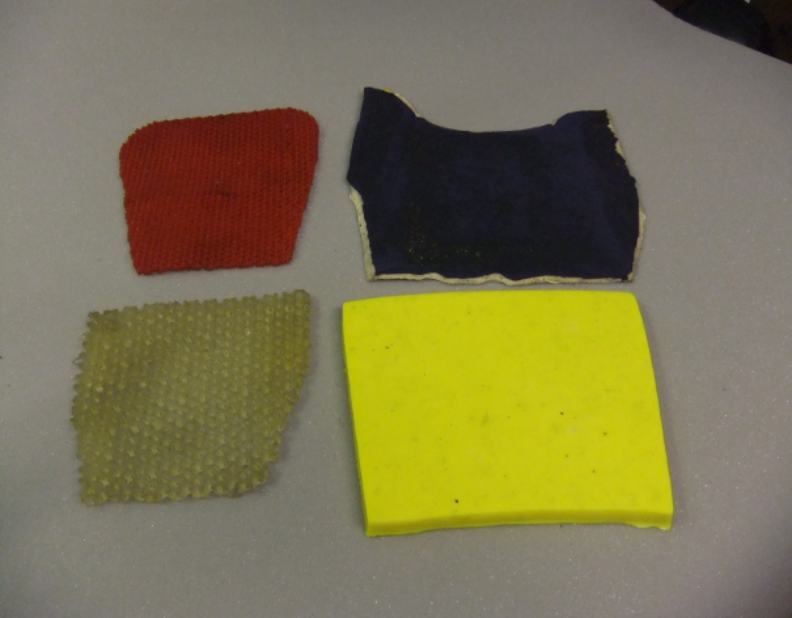 Our Gel Pads on the other hand are moulded to give different properties which are beneficial to our needs as motorcyclists. Our Gel does not compress in the same way as foam does, it acts more like a shock absorber, supporting and distributing body weight whilst also nullifying a lot of the high frequency vibrations that are generated from the motorcycle and transmitted through the seat. 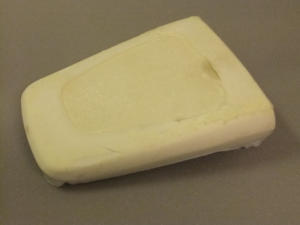 Road shock and vibration, two of the major factors leading to numb bum syndrome, can have the effects greatly reduced by having our gel pads fitted. 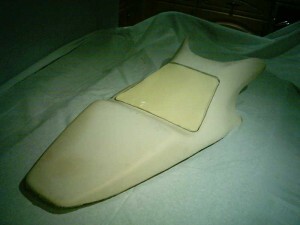 Gel Pads will not change the aesthetics of the seat as they replace a section of the original foam. Neither can they burst or leak as they are not a liquid or paste. 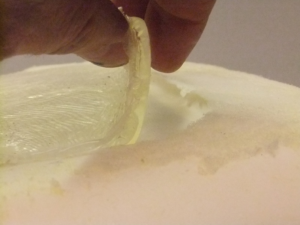 The gel can also withstand temperatures ranging from -40°C to +130°C without any deterioration of performance. Remember, these testimonials are for our Gel Pads, not for anything else that may be available and used by others. We manufacture our own and fully understand the properties of all the ingredients, additives etc. and have therefore been able to fine tune the mix into our final product and our continual improvement policy keeps us pushing development forward. WARNING! NOT ALL GEL PADS ARE THE SAME. BE SURE YOU KNOW WHAT YOU ARE GETTING FOR YOUR MONEY!! 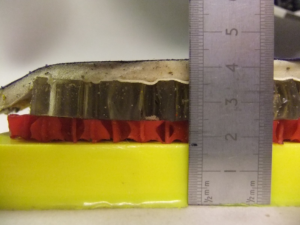 During our original 2 years of meticulous development , and over 50,000 test miles on a range of motorcycles, we found that the optimum thickness for the Gel Pad was between 18 and 20 mm. and of a density which is a closely guarded company secret! As you can see from the above pictures, some companies are fitting some odd looking products and calling them gel pads. These are samples of a few which we have removed from dissatisfied customers seats and replaced with our Gel Pads. 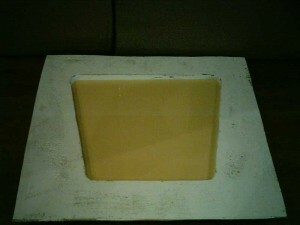 The Saddlecraft Gel Pad is shown in yellow for comparison purposes. 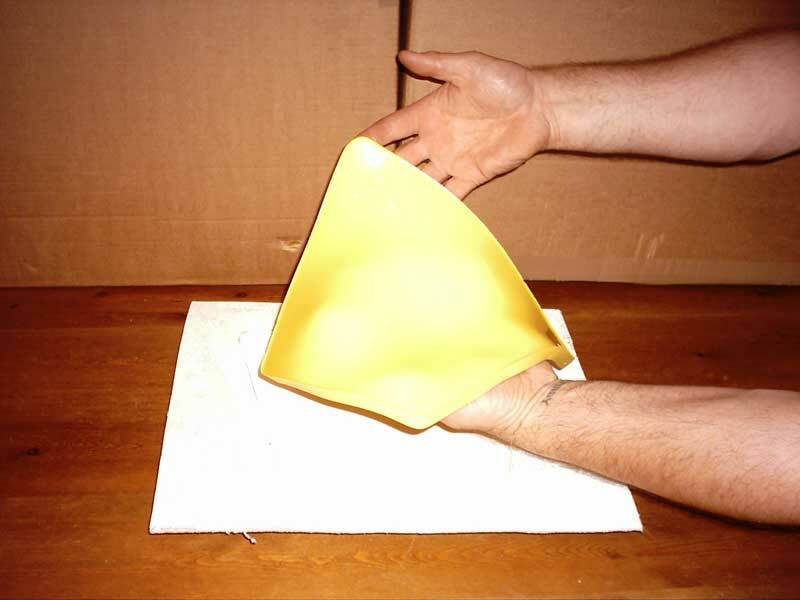 The above pictures show an original equipment manufacturer gel pad. A customer bought this thinking it would be an improvement over the original non gel seat. Alas, this was not the case and the seat was brought to us for us to fit one of our Gel Pads. The result?…. quote…”what a difference! I cannot believe it’s the same seat….it’s made going for a ride the joy it should be instead of the torture it used to be”. Many of the big manufactures out source there seats, often buying from the same manufacturer and therefore using the same gel pads.